A stay at Spicers Tamarind Retreat includes relaxation & indulgence in equal measures. Understated luxury abounds with pavillions stylishly appointed, featuring wood burning fireplaces and spas. Add to relaxation with a treatment in Spa Anise or a walk along Obi Obi Creek & nearby Gardners Falls. Spicers Tamarind is a romantic retreat located 90 minutes from Brisbane in the Sunshine Coast Hinterland village of Maleny. 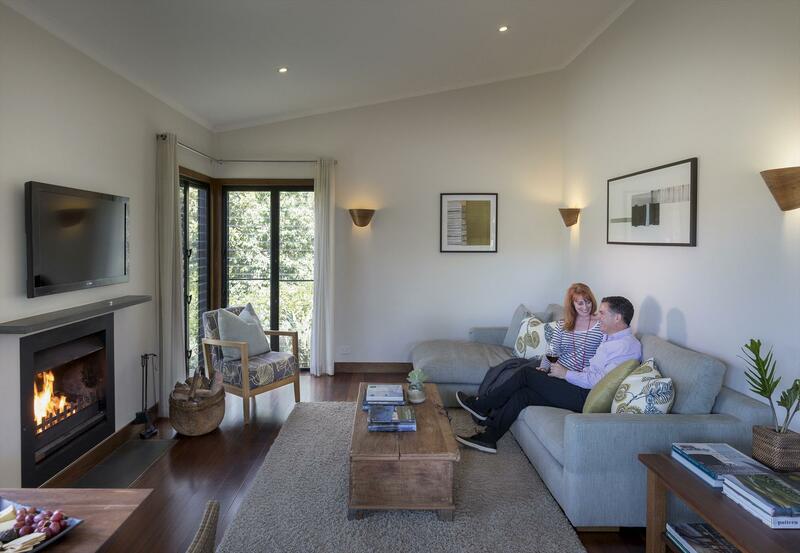 Escape to the serenity of Spicers Tamarind and choose between a range of accommodation types, all luxuriously appointed with some featuring spa baths, outdoor cedar hot tubs or deep soaking bath. Relax with a selection of curated books and curl up on the day bed or swing happily in the egg chairs suspended from old fig trees. Indulge in pure dining pleasure at the award-winning Tamarind Restaurant, featuring modern Asian influenced cuisine. Be inspired and learn the art of Asian cooking at onsite Tamarind Cooking School. Book ahead and secure your spot, with cooking classes running for 4 hours every Saturday and price includes apron, lunch and wine. 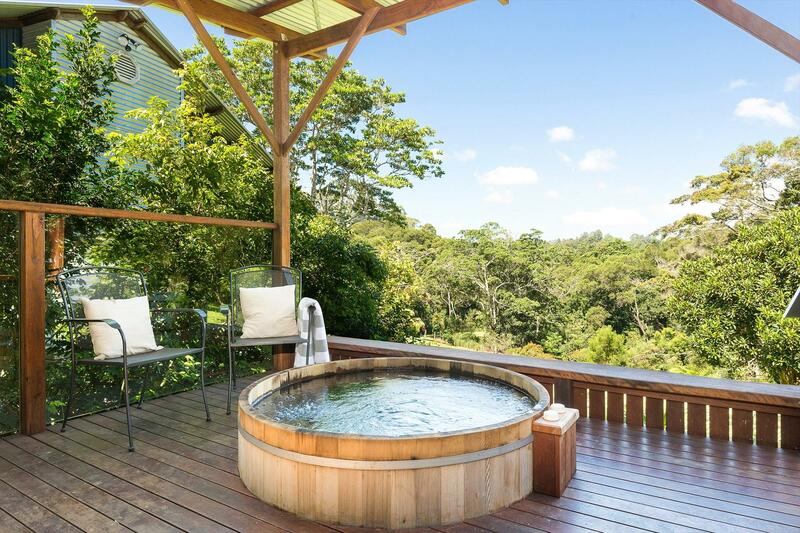 Relax at Anisa Day Spa at Spicers Tamarind, set amongst the lush, green rainforest of the Sunshine Coast Hinterland. Spa Anise offers double rooms for couples or friends, a mineralised spa, steam room and stunning hydrotherapy pool with forest outlook. Bookings essential. Escape the city and meet in style with dedicated onsite conference facilities, breakout areas, natural light and the benefits of fresh mountain air. Weddings and special events can also be catered for at Spicers Tamarind. 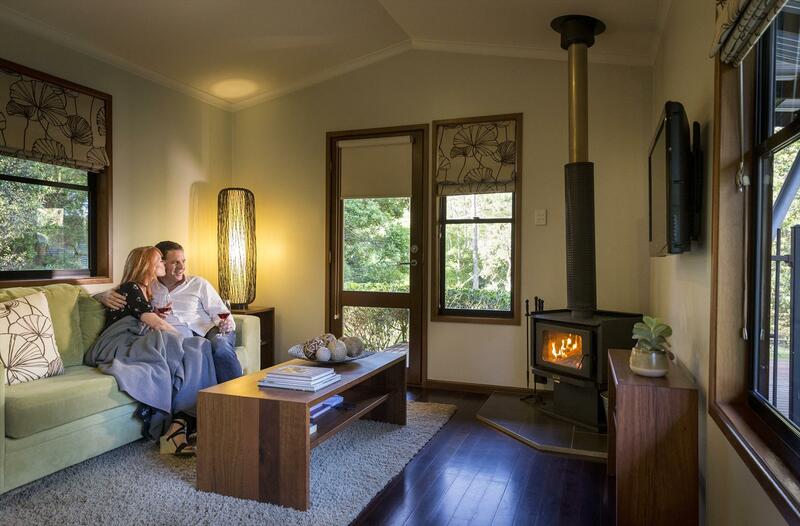 Escape to the relaxed luxury of Spicers Tamarind for romantic getaways in the Sunshine Coast Hinterland. You'll find Spicers Tamarind four kilometres east of Maleny along a lush rainforest laneway, just 90 minutes from Brisbane. Spicers Tamarind is uniquely situated next to Gardners Falls in a beautiful rainforest on a picturesque 18-acre property. Our six luxurious Falls Pavilions and gourmet restaurant embrace this setting making it a perfectly intimate location for couples. And, if you're not familiar with the location, Maleny is nestled in the gorgeous hills and countryside of the Sunshine Coast hinterland. The Spa Studio captures stunning rainforest views from its open plan king size bedroom. This studio offers a private deck overlooking lush forest from your own cedar hot tub and luxury amenities. The Spa Studio adjoins our conference room & cooking school. Package includes a la carte breakfast daily. Luxury Falls Villas feature an outdoor cedar hot tub and are located adjacent to Gardners Falls. 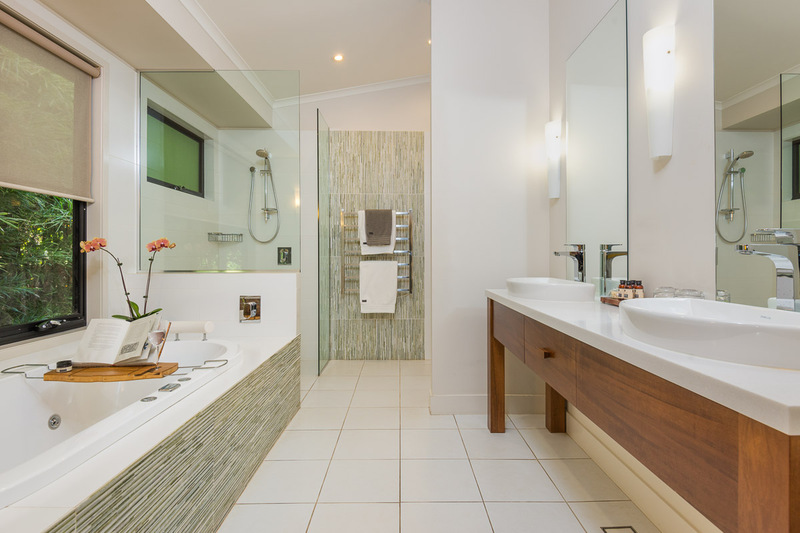 Each villa offers a separate lounge area with kitchenette and fireplace and ensuite with a dual rain shower. Please note this villa accommodates adults only. Package includes a la carte breakfast daily. 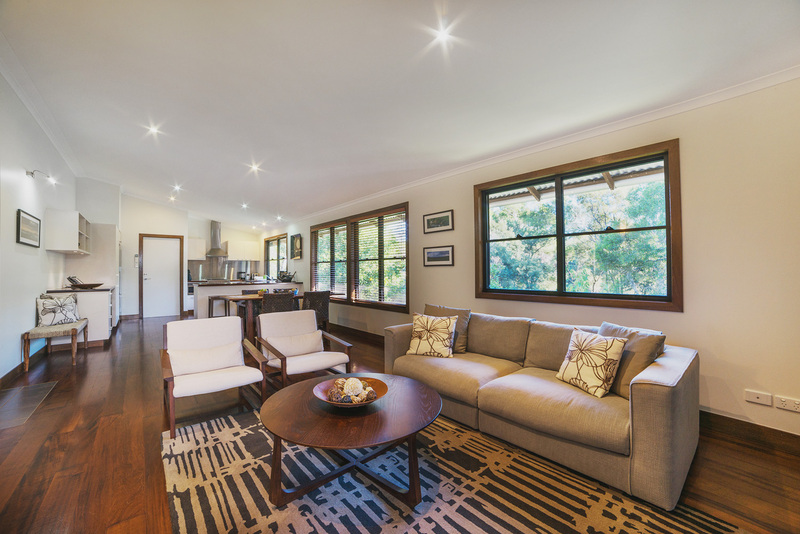 Luxury Forest Villas are nestled privately in the lush rainforest & feature a separate lounge area with an open fireplace and a verandah with a king size day bed. Each of the two bedrooms have an ensuite, with the master bathroom featuring a cocoon bath which opens on to a private courtyard. This stand alone villa is perfect for a family or group. One of a kind, this villa features two bedrooms with ensuites, full kitchen facilities, fireplace and a verandah with an outdoor setting. These elegantly appointed, stand-alone villas is access friendly and offers space for up to 4 people and feature 2 private bedrooms with ensuites, luxury amenities, an open wood-burning fireplace and a balcony. Flexible bedding configurations King/Twin beds.